Suez Canal, Egypt: Once only a dream of Venetian merchants, transiting the Suez Canal has become a cherished memory for many travelers. This sea-level waterway was a Victorian era feat, connecting the Mediterranean and Red seas in 1869, and shaving 4,300 miles off of sailings between Europe and Asia. As you make your way through the waterway on a Suez Canal cruise, to the west you can view the green Nile Delta in Northern Egypt and the arid Sinai Peninsula in the Middle East. Book by June 21: Exclusive $25 USD per cabin on board credit and 1 bottle of wine! Athens brought the world drama, history, poetry, and philosophy. Once home to the world’s most powerful and civilized empires, Athens is now the world’s foremost archaeological playground. The towering columns of the Parthenon still stand in homage to the virgin goddess Athena. The Parthenon sits atop the Athenian Acropolis and watches over the city where it can be seen from just about anywhere in Athens. Make it a point to visit the incredible Acropolis Museum on your cruise to Athens. The joint effort between two architects, one American and the other Greek, this outstanding building was completed and opened to the public in 2009. It focuses primarily on the Greek period dating to 5 B.C., considered to be the apex of art, culture, and philosophy in ancient Greece, but it also has artifacts from the Bronze, Roman, and Byzantine Ages. There’s even a Plexiglas walkway from which an excavated section of an old Athenian neighborhood can be viewed. In addition to an abundance of historical riches, modern Athens has plenty on offer—from scenic beaches to restaurants with superb Mediterranean cuisine and bustling central markets. Once only a dream of Venetian merchants, transiting the Suez Canal has become a cherished memory for many travelers. This sea-level waterway was a Victorian era feat, connecting the Mediterranean and Red seas in 1869, and shaving 4,300 miles off of sailings between Europe and Asia. As you make your way through the waterway on a Suez Canal cruise, to the west you can view the green Nile Delta in Northern Egypt and the arid Sinai Peninsula in the Middle East. The resort city of Aqaba is situated at the most southern part of Jordan and lies on the most northern tip of the Red Sea. On a clear day you can see Israel, Saudi Arabia and Egypt. It offers a fascinating history with some outstanding sites, good shopping, and welcoming, friendly people. Aqaba’s long history dates back to pre-biblical times, when it was known as Ayla. But perhaps Aqaba’s greatest asset is the Red Sea itself. Here you can experience some of the best snorkeling, diving, fishing and water sports in the world. The temperate climate and gentle water currents have created a perfect environment for the growth of corals and a teeming plethora of marine life. Discover a breathtaking city nestled between the turquoise waters of the Arabian Gulf and rolling desert sand dunes. Our cruises to Abu Dhabi give you the perfect opportunity to explore this city’s stunning contrasts, from riding camels across the stunning desert landscape to shopping in the luxurious boutiques along the city’s palm-lined boulevards. Marvel at the awe-inspiring architecture of the Grand Mosque, one of the largest in the world. Get your adrenaline flowing at the Ferrari World Abu Dhabi, where you can put the pedal to the metal in some of the world’s fastest supercars. Try a taste of Al Harees, a traditional regional meat dish cooked in a clay pot. Shop the hottest designer fashions at the World Trade Center Mall. 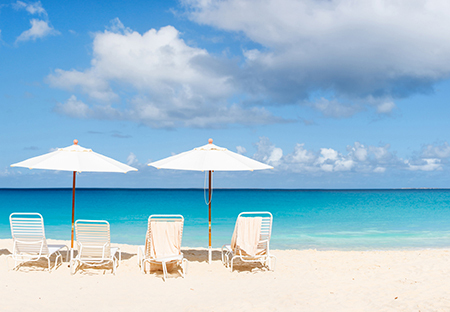 And spend some time soaking up the sun at one of the city’s gorgeous white-sand beaches. Cruise to Abu Dhabi and experience a city that’s both ultra-modern and steeped in tradition, with excitement and eye-opening experiences at every turn. Dubai is a fascinating fusion of modern city and old world “souks,” or markets. Travel between the two by “abra” traditional water taxis that cross Dubai Creek. The leading center for business and tourism in the Middle East, Dubai offers a distinct blend of modern city amenities with the ancient charm of Arabia. Take a stroll and admire the stunning architecture of traditional mosques right next to ultra-modern buildings. Pick up a wonderful memento at The Souq, which is made up of various shops such as the Spice Souq, the Textile Souq and the Gold Souq. Cruises to Dubai have something for everyone: desert safaris, sun bathing by the emerald blue sea, restaurants featuring culinary flavors from around the world, luxury hotels and traditional Arabian flair. Taste the fusion of Middle Eastern and Asian flavors of Emirati cuisine. Freshly caught seafood is a staple of the Dubai diet, but you’ll also find ample selection of lamb dishes like kebabs and stews on menus as well. A group visa will be issued onboard upon submission of the guest manifest. Guests are not required to do anything to be included in the group visa. Canadians must present a passport valid for at least 6 months beyond the date of entry. Entry stamps must be obtained (free of charge) and are valid for a 30 day visit.